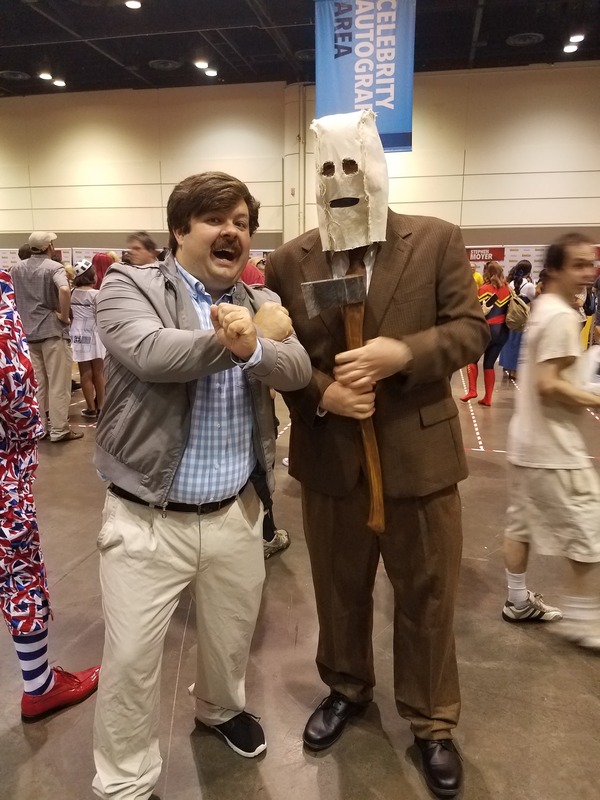 I had the chance to attend Megacon again last Saturday and it was a lot of fun as always. I spent too much on trade paperbacks. I can’t help it though, I attend a con and I just have to buy all of the TPBs that catch my eye. I’ve attended at least 10 Megacons since 1996 but this year was my first year attending in cosplay. 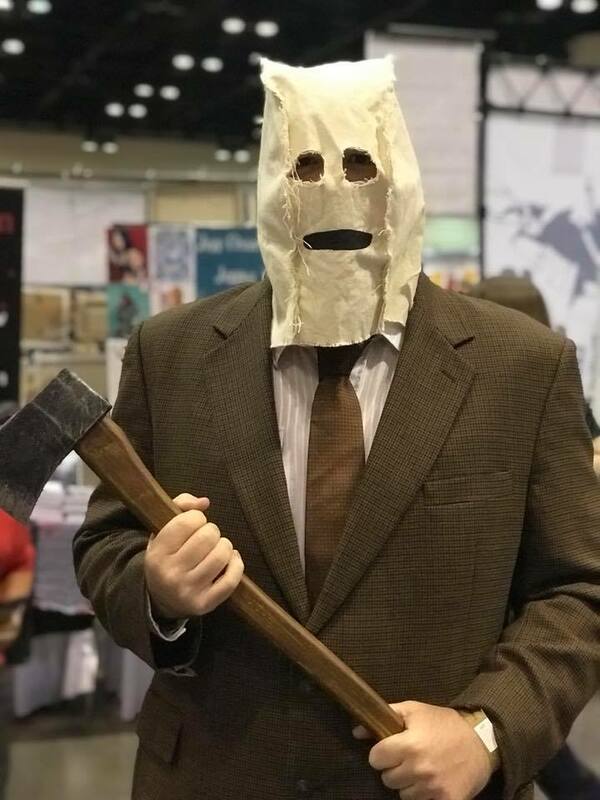 I was the Man in the Mask from The Strangers. I had actually wore the same costume when I attended Spooky Empire earlier this year. It took a lot of work piecing together a suit that resembled the outfit worn in the movie and I felt like one convention just wasn’t enough. I love to be different from the crowd and I figured there probably wouldn’t be too many horror cosplays at Megacon. Photo by Alex from Wayfinder Studio. I didn’t get to spend enough time at Megacon this year. The event has gotten so much bigger over the last few years. 10 Years ago, I remember being able to go through all of the vendor booths 2-3 times while still taking breaks to check out a panel and/or watch some anime in one of the rooms down the hall. This year I only made it through the vendor area once while taking some time for food breaks, meeting up with friends and trying to spot some of the celebrities who were signing. Spotting the celebs has definitely gotten harder. There are large crowds of people and it was difficult to see some of the big stars. Walking Dead Children’s Cosplay – Totally Awesome! 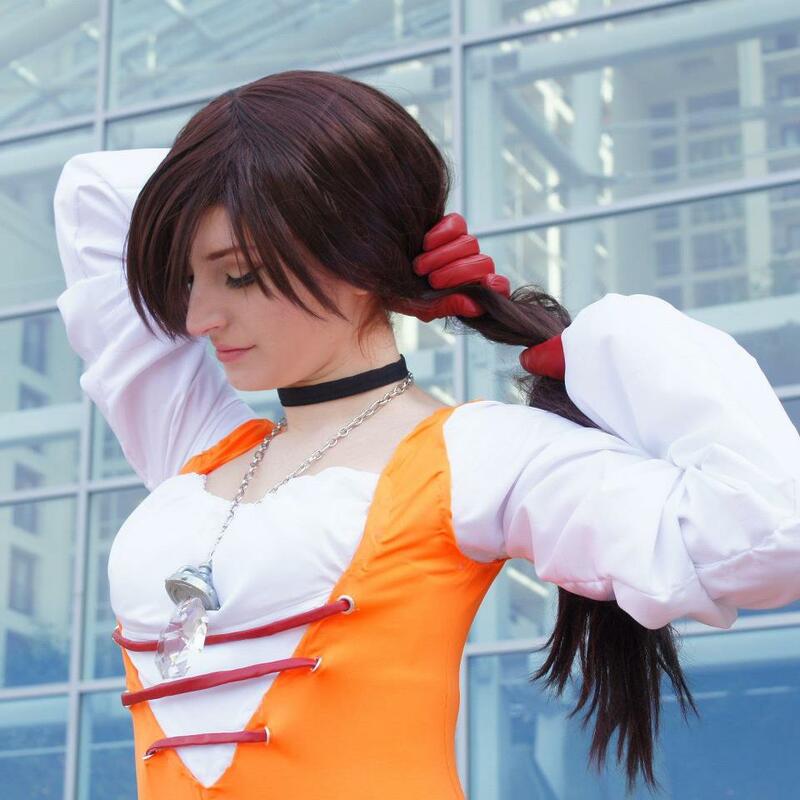 Bunny Girl Loki and Princess Garnet on Facebook!